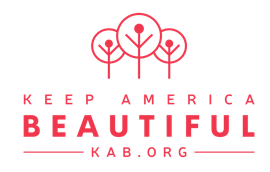 Every year KWCB hosts several events that are planned to coincide with annual events sponsored and supported by Keep America Beautiful. These events include participating the Great America Cleanup and the International Ocean Conservancy Coastal Cleanup. We also host many local programs such as the beautification of the Wakulla High School Atrium, the recent landscape update at the Wakulla County Courthouse. We have lots of plans for the future. Keep America Beautiful’s Great American Cleanup, the nation’s largest community improvement program, takes place annually from March 1 through May 31, involving an estimated 3.9 million volunteers and participants. The hardworking volunteers donated more than 5.7 million hours in 2010 to clean, beautify and improve more than 33,700 communities during more than 30,000 events in all 50 states and beyond. Activities included beautifying parks and recreation areas, cleaning seashores and waterways, handling recycling collections, picking up litter, planting trees and flowers, and conducting educational programs and litter-free events. Earth Day is a day that is intended to inspire awareness and appreciation for the Earth’s natural environment. Earth Day was first observed in the US on April 22, 1970. It is now celebrated Internationally in April. For more info go to the Earth Day Network . Twice a year in April and October, KWCB in coordination with Wakulla County and ESG Services host our amnesty day at 340 Trice Lane. This event brings an average of 275 vehicles through the facility to offload household waste from a single light bulb to anything with a plug. For more information contact us. Arbor Day is a nationally-celebrated observance that encourages tree planting and care. Founded by J. Sterling Morton in 1872, it’s celebrated on the last Friday in April. Each state does have its own Arbor Day, which is the optimum planting day for trees in your state. Florida’s is the 3rd Friday in January. For more info go to the Arbor Day Foundation.